So maybe it was a bigger deal than I thought, just not in the usual venues — do tell, have you seen anything promotional for Jay Z Gold? The scent itself is fine: not as bad as celebrity-perfume-haters might have expected, but not likely to be the next hot thing amongst perfumistas either. It's being styled as a white fougère, whatever that might be, and the opening, at least, does a reasonable job of living up to the fantasy designation: it's the basic elements of an aromatic fougère rendered creamy and smooth. Early on, it's crisp and bright (plenty of grapefruit and orange) and peppery/spicy, with the requisite touch of lavender. There are fruity undertones to add some sweetness; luckily it doesn't smell all that much like the blueberry listed in the notes (the rest of the list: ginger, cardamom, grapefruit, violet leaf, cypress, vetiver, pink pepper, amber, patchouli, teak and vanilla.) It isn't wildly unusual, but it smells nice enough, and the sillage is decent. Gold stays creamy and spicy and lively for about an hour; after that, it's a slow fade — the far dry down is closer to a standard issue masculine amber-y woods, lightly vanillic. It's not nearly as lively as the opening, and after a couple hours, it's awfully quiet and close to the skin. Verdict: well, as I already said above, it's fine. It's not necessarily what I'd pick to express the words etched on the cap (Power, Pride, Confidence, Strength, Success, Courage), but that's a tall order in any case. And as is true with many of its competitors on the mainstream fragrance counters, most of the fun is top-loaded — I was way more impressed with a quick spray on a blotter than I was after living with it on skin for a few days. Likewise, if you're wowed by your first encounter in-store, bear in mind that you'll probably need to reapply frequently throughout the day. I've seen Gold compared to Viktor & Rolf Spicebomb, but I don't see all that much connection and I seriously doubt that fans of that scent will find Jay Z Gold to be any sort of acceptable substitute. Notable Scents compares it to Paco Rabanne 1 Million, at least in the opening, and that seems more plausible but it's been some time since I smelled 1 Million. Do comment if you've smelled Jay Z Gold — what did you think? Or tell us what masculine fragrance you'd pick to express Power, Pride, Confidence, Strength, Success and Courage. 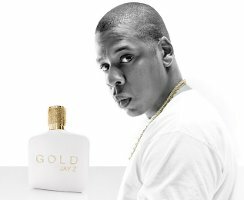 Jay Z Gold was developed by perfumer Ilias Ermenidis. It is available in 30 ($39), 50 ($55) and 90 ($70) ml Eau de Toilette (18% concentration, so really an Eau de Parfum but they are calling it an Eau de Toilette because Eau de Parfum sounded too femme. Really!) and in matching grooming products. A "deluxe" 90 ml version in a "deluxe white case" is $150. 1. Not counting the masculine fragrances from his Rocawear brand: Rocawear 9IX, Rocawear X and Rocawear Evolution. 2. And on that topic, raise your hand if you're surprised we haven't seen a flanker to Fame? I know I am. I was really hoping against hope for a clear juice that sprayed black. 3. Via Women's Wear Daily, 11/1/2013. Van Cleef and Arpels Pour Homme or Amouage Jubilation 25. You know, the 1st two I thought of were Eau Sauvage & Jubiliation XXV. Eau Sauvage has the advantage, price-wise, but it doesn’t smell quite as good as it used to. YSL M7 would have been a contender were it not for the current overuse of oud. YSL M7 is always a contender! It can’t be blamed for the current trends, can it? I thought it was, at least initially, a commercial flop. But Power, Pride, Confidence, Strength, Wealth and Nakedness – yes. Along similar lines, but not so oud-y: DK Fuel for Men. True enough, I guess it can’t be blamed, but it also can’t help exuding some degree of sameness, right? And yes, it was a flop! The flop that launched a thousand ships. DK Fuel for Men is a great idea. Jub XXV is so nice. I admit, I rather like Spicebomb as well, but that’s more Friendly Reliable Guy than the Power pride confidence whatsit. We need Marjorie Rose to comment on this since she’s now seeing “Mr. Spicebomb”. Weh-ehl! *MY* Mr. Spicebomb is certainly reliable, nice, friendly guy! But he’s also un unexpected risk-taker. He looks and presents as a sort of white-collar, mainstream type, but he’s actually got a very creative spirit and quirky mind. Seems like the fragrance could evoke some of those qualities, too, since it’s not as safe and traditional as something sporty or marine, but not totally from left-field, either. urgh. Sorry for multiple typos! Long day at work. . . Thank you! Sounds like a perfect fit for Spicebomb to me…I think of it as a little quirky too. Well, Old Spice, the classic stuff… that’s Friendly and Reliable too. But then, my dad wore that. Or Devin…another nice-guy blast from the past. Robin: I smelled tested this in Macy’s last month and was pleasantly suprised. I really liked the opening but found the dry down meh–As a 36 year old man, I also could bring myself to purchase a Jay Z fragrance. Yes he’s older than me but buying a Jay Z fragrance seems so teens-20’s. Yes — exactly, I was very pleasantly surprised at the first sniff too. It will be interesting to see how well this does, because I think you’re not alone, and not sure his name is that big in the age group that tends to buy celebrity fragrances? Not that I’d know, LOL…but guessing Beyonce will outsell him in the fragrance market. I do remember some tv ads for this fragrance. Good to know! The ad on YouTube has had remarkably few hits — about 16,000, compared to over 2 million for the Old Spice thing I posted today. And it’s been on YouTube since late November. Not a good sign, I would think. Power, Pride, Confidence, Strength, Success and Courage – in capital letters – definitely Amouage! Parfums MDCI Chypre Palatin is also in the running. Tom Ford cannot be excluded, even if he is insufferable. White Fougère sounds like a Tom Ford, actually. White Fougère completely sounds like a Tom Ford, exactly. Except he’d do a way nicer bottle. Patou Pour Homme, the original? How about Balenciaga Pour Homme. I can imagine VC&A Tsar or Pour Homme as well. I didn’t see anything local about Gold, but I am far away from civilization. Would love to know if celebrity scents sell better in cities, or far from civilization (where I also live). Would guess the latter? If I’m right, their strategy would seem misguided. “Not bad” is a glowing recommendation for a celeb scent. I haven’t seen any ads in the Chicago area, but then I’ve been hibernating since the cold weather got here. I’ll have to ask Mr. Lucy what he has seen. Well, it very nearly is a glowing recommendation for any scent. But Parlux can do better — Rihanna Rogue is miles better than this. If perfume bottles were dumped in the ocean on random rubber rafts they would probably float here faster that this! Not that I’m having a hard time controlling my excitement or anything – lol! Seriously, it’s miles better than this, but you can live without it. Remind me, did you get Bottega Veneta yet? None of our department stores have it but I am seeing now it is available at the ‘South African’ Strawberry.com. Its priced at R1300 ($130) for 30mls, which is more expensive than Lutens. I’v not used Strawberry.com, so I’m not sure how good they are. Some large department stores have recently got Marni as well. Priced also at what I would call niche prices. Clearly its meant to be very exclusive here. Oh, too bad! Because I was going to say just get the BV and forget Rogue. “Power, Pride, Confidence, Strength, Success and Courage” — I believe that is the motto engraved on the gold compact of the Rien-wearing Lady Executive (which I pretend to be when I’m wearing it). I keep thinking..there could be a much more flattering picture of Jay-Z than that! Oh, thank goodness! I have no clue who he is, but this photo does not make me want to know more. The over-the-shoulder (seductive?) glance does not suit all models, lol! As with many people doing the seductive over-the-shoulder glance, he just looks sort of pissed to me. Though, examining his face now, he actually looks a little perplexed! I want the $150 bottle of Gold! I wonder what happened with COTY and Gaga. I remember when FAME came out in WWD COTY said that Fame wouldn’t ever go mass market and it ended up mass market. People Macys said it started off with a bang but after all of jer fans bought the fragrance the black juice turned regular fragrance consumers off and fans didn’t do repeat purchases so they sat on the shelves collecting dust. I seriously doubt that Truth or Dare sold as hoped. Don’t know about Fame — you could be right about the black juice, but I wonder if other factors were important as well. I don’t think the fragrance houses always guess correctly which stars are able to tap into the whole aspirational marketing thing. I think most consumers now aren’t willing to shell out for celebrity scents unless it is mass market. They have become so ubiquitous for female celebrities, however there aren’t many male stars with scents aiming for men. I didn’t know it was in stores until I got a carded sample at a Dillard’s, so I think most promotion was aimed in major urban areas far away from me lol. I think I am probably biased about the scent due to being a Jay-Z fan but I like it, its not spectacular but I find it a lot better than Polo Red or Gentleman Only. If this is successful, I can only imagine the flankers: Brooklyn Gold, Silver and Gold, Platinum, Rose Gold for women?! Yes…flanker names will not be a problem! Thank you for mentioning the review I wrote – totally made my day. One similarity to Gaga Fame is how quickly both went from Prestige to Mass. It’s been well documented how quickly Gaga went down the path. Jay Z launched at Barneys (arguable the most elite dept store) and is now available at every Macys and Sephora. So true, except in Jay Z’s case it was planned that way in advance…it was supposed to be a huge launch at Barneys, then wider distribution in mid-tier stores. But the huge launch sort of fizzled out because of that racial profiling incident at Barneys. My idea of a perfume that evokes Power, Pride, Confidence, Strength, Success and Courage is Puredistance M. It is assertive (in a good way) and people know you mean business when you wear it. Yes, it is quite masculine but I’m a layerer so I temper this with Le Labo Vanille 44 for one of the most glorious 10 hours PLUS! 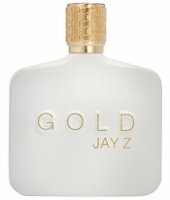 As to Jay Z, I’ve only smelled it on one of those square perfume ad inserts that fall out when you open the sale catalogue. I did not read the notes prior to sniffing and was quite surprised about the burst of citrus that immediately hit my nose. If I were to boil this down to what I smelled, it would be fruity-vetiver. I left the perfume ad strip exposed to air for a few hours and now detect the vanilla. I’ll acquire a sample from Nordstrom (I bet my favorite SA would look at me like I had two heads!). It’s “not-bad”. Is it a V&R Spicebomb replacement…absolutely not…whomever came to that conclusion probably mistook Spicebomb for something else. Regarding the biggest launch ever, I avoid Times Square all year except in the early mornings where sometimes one can gawk at pretty construction workers. I think Barneys had high hopes for this as Jay Z was prominently featured it its holiday catalogue with a whole line of GOLD GOLD and more GOLD merchandise (including gold high-tops), but you’re right, Robin, that the whole racial profiling of shoppers made it into fools’ gold. I pass by Macy’s / Herald Square just about everyday and there was nary a peep on this perfume. Maybe it was competing at the wrong time with all the Christmas hoopla but I would say that if it was truly THAT BIG, I would have noticed. Well, good to know about the Macy’s area…I do think either they toned it down after the Barneys fiasco, or it just wasn’t really promoted as widely as they implied. I have yet to sample it and intend to do so. I am hoping it lives up to the expectations and hype. One question that lingers in my mind is why name it ‘Gold’? The story goes that he was trying a bunch of mods, and when he smelled this one, he said “it’s gold” or something. the only other masculine celebrity scents i like are David Beckham’s, which are uniformly pleasant. Adam Levine’s scent is like floor cleaner. I will have to smell the Lacoste…and would agree with your assessment of Gold.